Home → Vaping Info → Vaping Safety → Is Secondhand Vapor Dangerous? Lately there has been much controversy over exposing others to secondhand vapor, or ‘passive vaping.’ Some public health officials have argued that secondhand vapor may contain hazardous chemicals and, like secondhand smoke, it is important to keep nonvapers away from it. Many have advocated for banning vaping in the same places where smoking is already banned, and in some places it is now illegal to vape indoors. Many lawmakers consider it an unknown potential danger and are acting preemptively, in effect saying it is better to be safe than sorry. 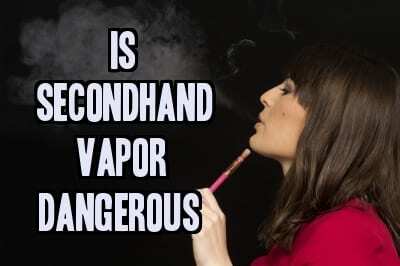 With all of the fuss surrounding this issue, is there any reason to believe that secondhand vapor is dangerous? A study was published last week which evaluated 54 non-nicotine users exposed to nicotine when living in different environments. Of these subjects, 25 lived with smokers, 5 lived with vapers, and 24 lived in homes with no smokers or vapers. Nicotine was measured in the air of each home. The mean concentration of nicotine in the smoking homes was 0.74 µg/m3, in vaping homes was 0.13 µg/m3, and in control homes was found to be 0.02 µg/m3. Cotinine (a biological byproduct of nicotine) was also measured in the saliva of each participant. The mean amounts of cotinine found were 0.38 ng/ml in smoking homes, 0.19 ng/ml in vaping homes, and 0.07 ng/ml in control homes. The researchers concluded that there is, in fact, significant exposure of nicotine to nonvapers when residing in the same home as a vaper. So is secondhand vaping dangerous? Not quite. All this study really shows is that passerbys inhaling vapor from an e-cigarette may inhale small amounts of nicotine. It does not, however, mean that it is dangerous. It is important to note that, while the researchers are claiming the results of their study are ‘significant,’ the fact that only 5 vaper homes were studied makes it difficult to determine anything of statistical significance here. Research of this nature has to be taken with a grain of salt. The numbers produced from such a small sample can only be viewed as a guide to what we might find in future studies of a similar nature. These data cannot be treated as absolute. For the sake of argument, however, I will treat the data as ‘fact’ as we move forward. The researchers neglected to discuss (at least in the abstract), whether the amount of nicotine a ‘passive vaper’ may be exposed to is anything to be concerned about. Dr. Konstantinos Farsalinos, a world-leading researcher of electronic cigarettes, provided a more comprehensive analysis of this study here. He explains that, while passive vaping lead to a salivary cotinine level of 0.19 ng/ml in this study, a heavy smoker will have a salivary cotinine level closer to 300 ng/ml – that’s 1200 times more! Based on the information given in this study, Dr. Farsalinos calculated that the passive vaper will have an average daily intake of 0.025 mg. He further notes that the European Food Safety Authority (EFSA) has established that the lowest level of nicotine a person can be exposed to which will lead to a biological effect (usually increased heart rate) is 8 mg/kg. To have an effect on the body, a person would have to be exposed to at least 10 times more nicotine than the amount acquired through breathing secondhand vapor. Furthermore, it is worthwhile to note that an individual may inadvertently expose him or herself to higher amounts of nicotine simply by having a healthy diet rich in vegetables, especially tomatoes, potatoes, and eggplants. Fortunately there is no risk of secondhand nicotine exposure from sitting next to someone who is eating a salad. But what about other chemicals? Advocates for vaping restrictions often list a myriad of other chemicals in secondhand vapor that they claim are hazardous. From ‘toxic metals’ to ‘cancer-causing toxicants’ and ‘the same stuff they use in antifreeze,’ it seems like the list of noxious substances in vapor is never-ending. There have been a few studies that have found potentially dangerous chemicals in vapor (see my article on toxic metals for one). Most of these studies have the same fatal flaw as the passive vaping research discussed here – they fail to note whether or not the amount of each chemical they found is actually hazardous. Dr. Igor Burstyn of Drexel University conducted a meta analysis of electronic cigarette research that was available as of July 2013. In his paper he conducts a detailed comprehensive analysis of all major contaminants detected in e-cigarette vapor to date. Throughout his study Dr. Burstyn asserts that there is very little risk to the vaper directly, let alone to any bystanders. In the end, there is only one reasonable conclusion we can draw from all of this. Given all of the evidence we have at our disposal, there is no reason to believe secondhand vapor poses any real danger to anyone. Public health officials and lawmakers who claim otherwise and insist that regulations be put in place to protect the unsuspecting public from such severe, imaginary dangers aren’t just being unnecessarily hasty. They are also being blatantly ignorant. There is no good reason to ban vaping indoors. All this serves to accomplish is to scare the public into believing vaping is dangerous, which will undoubtedly lead to less vapers and, therefore, more smokers. Officials in charge of determining how to best protect the health of the public would be wise to recognize that vaping does not pose a grave danger to anyone, and that it is actually a major public health benefit because it replaces smoking. Vaping could mean the end of smoking as we know it, and it needs to be supported. Personally, its all about big tobacco being mad that they are loosing revenue from smokers quitting tobacco and switching to vaping. Big tobacco will do anything, go to any lengths to skew any thing that puts vaping into a good light over cigarettes, cigars, smokeless tobacco,etc. 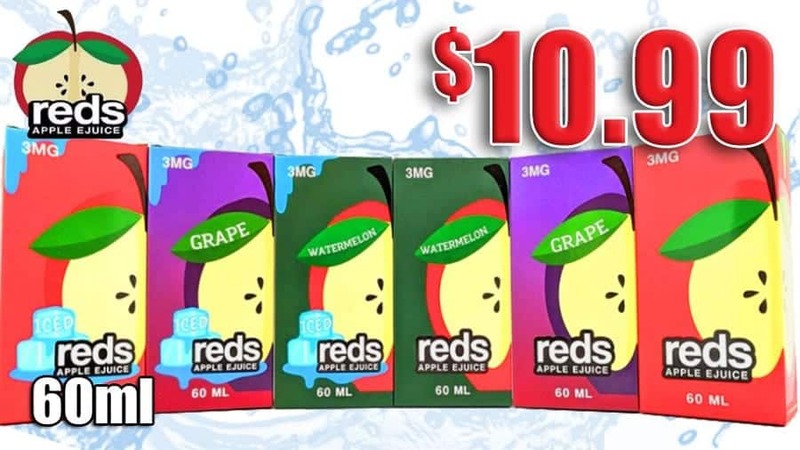 I thnk if big tobacco would join the vaping community, maybe offer something like a box mod, or a mech mod, hell, even an Ego type e-cig, and..and produce a premium quality ejuice, plaster their name on it…brand loyalty baby. I think some exsmokers would flock to something such as this. But hey, lets get real here. We all know that big tobacco will nevr join the vaping community…willingly. They may go kicking and screaming, then again…who knows. This is all personal suppositionon my part. When all is said and done, I can see where by, if a body is say….sensitive to the vapor produced, then one would think that said person would ask the vaper to not vape in his/her presence, or..move out of the way. My daughter is in fact one who is sensitive, not to the point of being sick mind you, but she use to say when she was living at home that at times the vapor would “bother” her. What bother means to her and to me is two different things. However, I would ask if when I was vaping a certain flavor if it bothered her, she would answer yay or nay as the case may be. Since she no longer lives with her mom and I, this is my house and unless someone says something, I will continue to vape at my leisure. Now if she or her friends when they visit from time to time say my vaping is bothersome…I will stop or go outside…mot a problem. I agree, big tobacco does not want to lose all of their customers! That’s the major problem I have with them getting into the vapor industry – they will never design a vaporizer that will actually help someone keep from smoking, which defeats the purpose of vaping for a lot of people. In addition, a lot of these studies are coming from anti-tobacco prohibitionists who believe that anything resembling tobacco should be eliminated, hence why so may studies like this have such a strong anti-vaping stance. A lot of prohibitionists really believe that vaping is making smoking cool again and should be eliminated because of that – it’s ridiculous, but that is what they’re basing all of this on. So where did those amounts come from? Was not explained in the study. Mister Glantz explained on twitter that it must have been carried in by the people. Yeh right. The study didn’t test for where the nicotine came from in any of the homes, so unless the source is obvious, if they tried to explain it would just be speculation. Dr. Glantz’s explanation is one possibility, but quite far from the only reason the nicotine would be there. The amount found in the study is so low, and as I said in the article, tobacco is not the only plant that contains high amounts of nicotine. It’s just as likely that nicotine was in the air because someone chopped tomatoes in the kitchen earlier that day. The possible explanations are endless.